He's the McDreamiest of them all! With a heavy heart, we are sad to announce that the PiAtom ship has sailed. 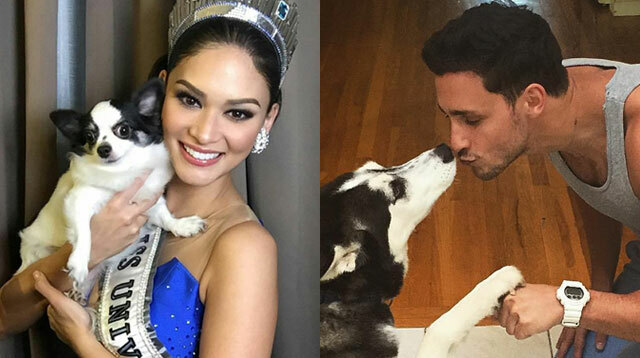 So sorry, Pia Wurtzbach and Atom Araullo fans, it looks like our Miss Universe has found love (or something close to that) in a super hot New Yorker named Dr. Mike. We gathered all the reasons why Dr. Mike is peeerfect for our Queen P! 1. Dr. Mike aka Mikhail Varshavsky is a Russian immigrant, having moved to the States at 6 years old. It means the guy knows how to adapt to a foreign culture! We can imagine him having no problem learning our native Filipino from his girl Pia. 3. Working odd hours is NBD for Dr. Mike. He is a doctor after all! With Pia’s tight sched, we’re sure these two are masters of time management. 4. He has a big heart! Having found the Limitless Tomorrow foundation, Dr. Mike’s principles in life are in line with Pia’s–they both strive to help those in need. Truly, GOALS. 6. They’re both health buffs! Post-boxing selfie anyone? 7. And TBH, they’re just sooooo beautiful individually that when they're together, it's like, DAMNNNNN.